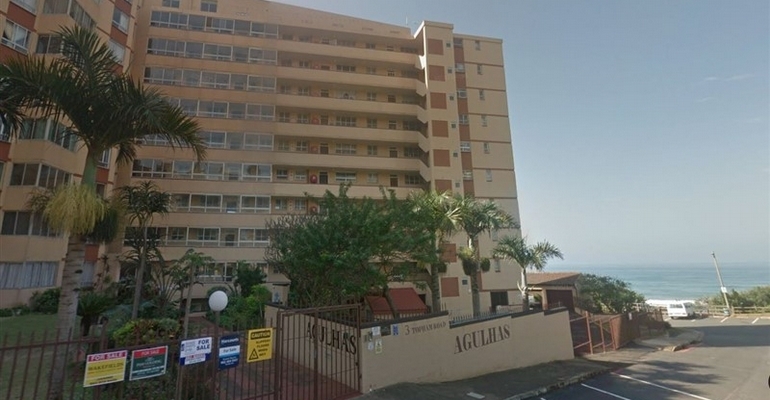 Agulhas no 28 is a beautiful, self-catering, beachfront apartment in a prime position in Doonside Amanzimtoti. It offers 1 bedroom and 1 bathroom, accommodating up to 4 people. The unit offers breath-taking 180º sea views perfect for dolphin and whale watching. This beautiful holiday flat consists of a lounge with a Flat screen Tv and a DStv. The fully equipped kitchen has all you will need for your well deserved break. Shops, restaurants, and beaches are all within walking distance of the unit. The entrance to the complex is well secured with save and secure parking. The building offers direct access to the main beach (protected by shark nets) with a life guarded adult and kiddies pool right on the rocks. Your booking request has been submitted.